long way. During the day, stick to the hotel pools and lying out under the desert sun. Head out to Fremont for a taste of kitschy "old Vegas" (with plenty of Elvis), and be sure to save your energy for the night, which is when the real party begins. Many hotels offer some sort of all-you-can-eat buffet - the most popular being Paris' Le Village Buffet, The Rio's Carnival World Buffet, or Caesar's Palace's Bacchanal Buffet. After dinner, check out the Bellagio’s fountain show, a spectacular sight at night, before heading out to one of the many nightclubs or entertainment shows. If you're feeling over-stimulated, you can head out of the city for a break in nature: the Grand Canyon, Red Rock Canyon Preserve, and Hoover Dam are easy day trips away. Oh, yeah, and you can gamble in Vegas, too. But you already knew that. air-conditioned spaces. With that said, the summer heat isn’t too bad if you want to spend some time at a rooftop pool because the humidity is very low. If the triple-digit temperatures don’t scare you off, this is also a great time to get low season rates. The rest of the year ranges from cool to warm, and there are plenty of good deals to be had if you avoid major conventions and holidays. Is it really necessary to add yet another obvious, obnoxious online rating especially about VEGAS? Vegas is Vegas. You shouldn’t be reading these reviews, what you should be doing is taking your credit card out and booking yourself a 3-4 night LV adventure. Went on this at night time so as the see the strip at its best all lite up. Even if your afraid of heights like me give it a try it's great you hardly noticed you were moving. Cheaper to book from your hotel than at the eye. Las Vegas is gawdy and loud, but there is something about it that is just Americana at it's best! For gamblers or foodies, it's an excellent destination. Best place I have ever been to! 100% recommend! Definitely go to the stratosphere restaurant for the most amazing meal! My favorite spot to vacation in the US. Love the casinos and clubs, the shopping, the food, and slot machines especially. Vegas is my adult playground. Do you love gambling, drinking, concerts, musicals, dancing and to burn cash, Las Vegas is the 'sin' not to live without. While a place that may not be for everyone, this city is no longer an adult playground. 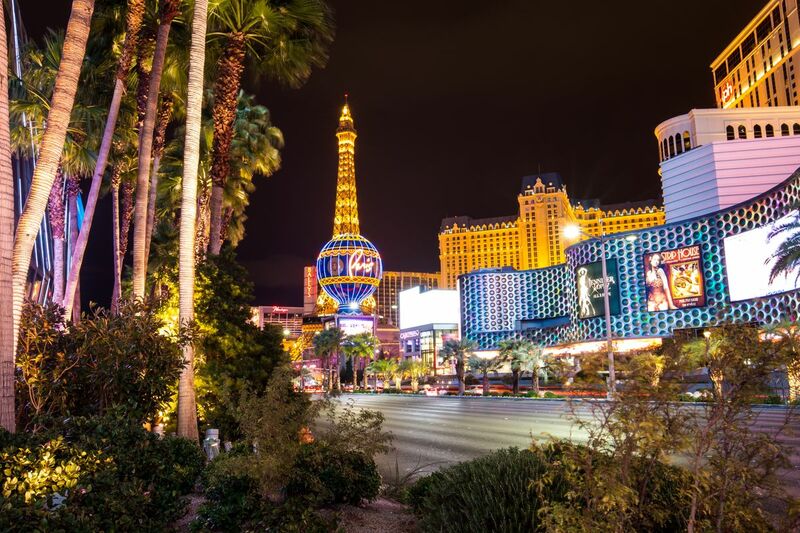 From great amusement parks and shows to restaurants and art, Las Vegas has truly expanded it's attractions to all.